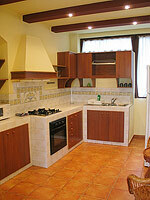 Our agency has over 50 quality Apartments in Bucharest, Romania, so one is for you. 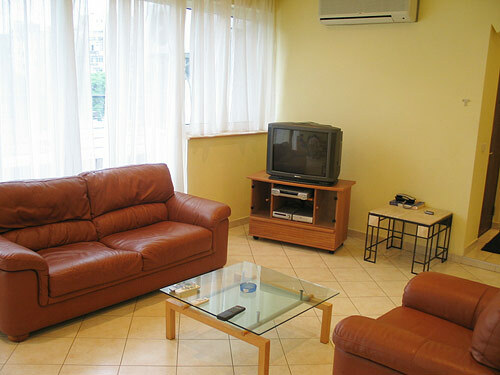 EastComfort's Bucharest Apartments are sorted by the number of guests, price or our recommendations. Completely modifying a common block flat into a location of style and comfort is indeed successful. You have at your disposal a 2 rooms luxury apartment. The living room is relaxing (large windows, spotlights, ceramic tiles and warm decorations) while the furniture is simply elegant (leather sofa and armchairs). The balcony's facing the street. A fancy dining nook (serving 6) ties the sobre living room with the familiar kitchen. The kitchen has self-catering facilities (gas cooker, full sized fridge and cupboards, coffee maker, ustensils). The warm bedroom has large windows and simple furniture: double bed, the TV table and 2 large wardrobes, laminate floor. 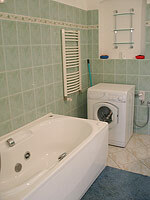 The bathroom has ample facilities: jaccuzi bathtube , washing machine and the usual bathrooms attachments.